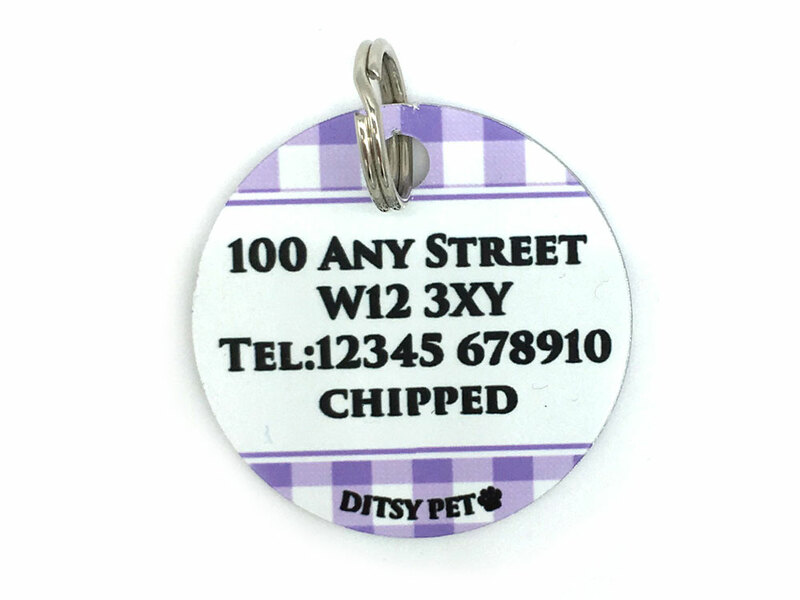 Now your dog can be the envy of the park with a Ditsy Pet bright and colourful ID tag! 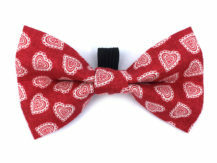 They look perfect with our matching accessories too! 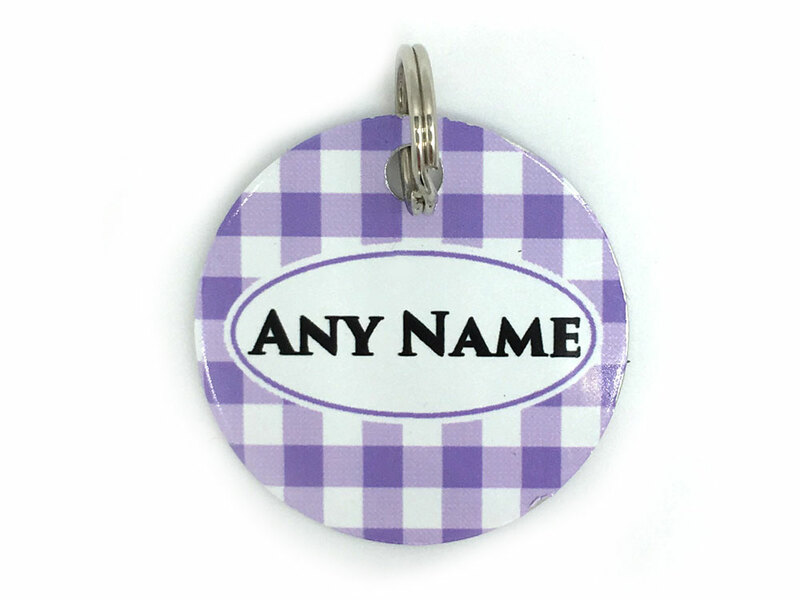 Each tag is made from a lightweight coated aluminium & can be printed on both front & back. As each tag is specially made to order, please ensure you provide us with the correct information paying particular attention to spelling at time of ordering as mistakes cannot be rectified afterwards. There is no limit to how much text you can have, but do be aware that we may need to make the text smaller to fit everything on! 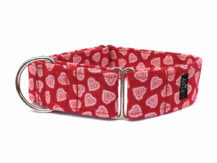 UK law states that ‘any dog while on a public highway or place of public resort must wear a collar with the name and address of the owner inscribed on it or a plate or badge attached to it’ We recommend your dogs name on the front or even the word ‘Chipped’ if you prefer and your contact details on the back. A telephone number is optional, but it can help reunite you & your pet quickly if lost. Please note that although we do try where possible to make our ID tags match the same pattern in other products, however due to the difference in material & copyright restrictions there may be some slight variations. 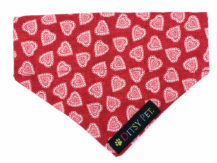 We recommend cleaning our tags with a soft, damp cloth without the use of any harsh chemicals. 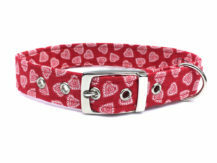 Do be aware that over time our ID tags can become scratched, particularly if they come into contact with collar/lead hardware or rub against hard surfaces.